Glitz up your road bike with this cork handbar tape and chrome-plated end plugs. Really feeling pretty good, and excellent tactile feel to the hands. Provides a very good gripping surface even when sweaty or wet. 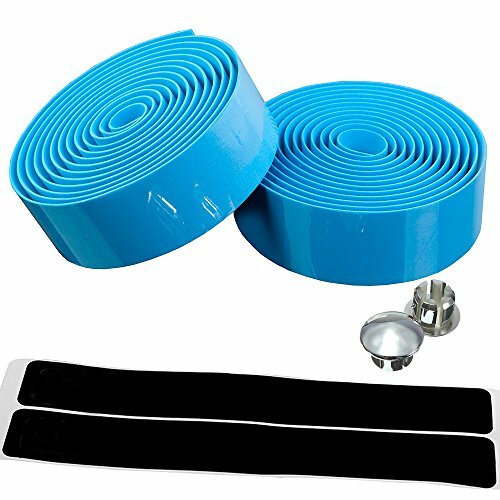 Durable foam type padded tape with cork material. NOW, becomes tacky when wet for better grip. Designed for road bikes, the tape boasts a soft, durable gel construction that becomes tacky when wet for a better grip.